In recent years, milk prices have dropped. And dairy farms — including some in western Massachusetts — have sold off their cows. Some say their hay customers are disappearing along with the animals. Dairy farmers often grow feed, like hay or corn, for their own cows, along with extra to sell. 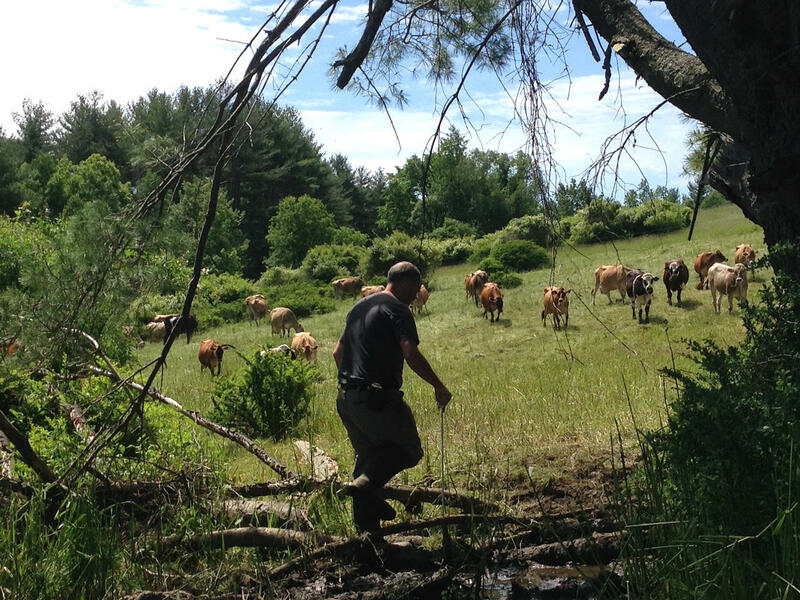 As I trudged up a pasture on a dairy farm in Shelburne, Massachusetts, Pete Williams’s Jersey cows ambled towards me. Since they’re about 1,000 pounds each, it was a bit unnerving. 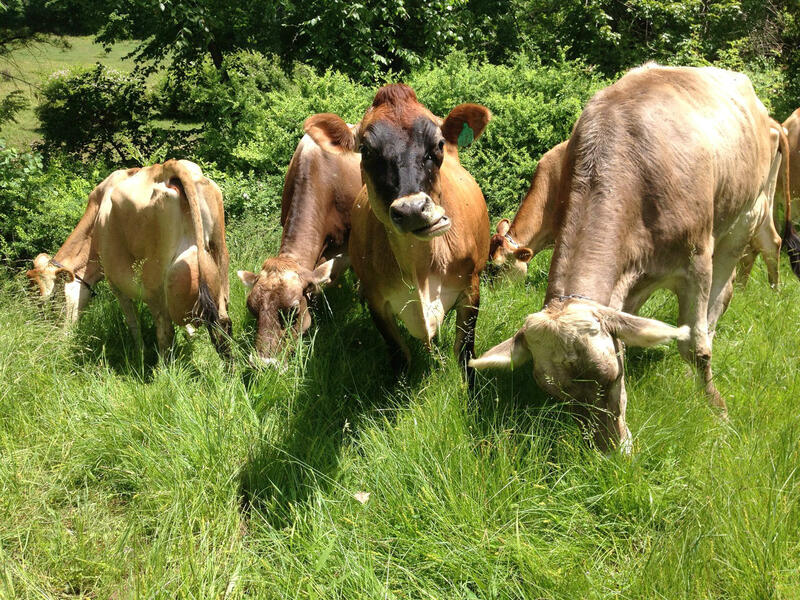 As Williams moved a fence to give his “girls” — as he calls his cows — a fresh slice of pasture to eat, the animals followed him, tearing into the red clover, timothy and orchard grasses. These hills were alive not with music, but with munching. Williams explained how cows digest grass with four stomachs, one of which is like a fermentation tank. 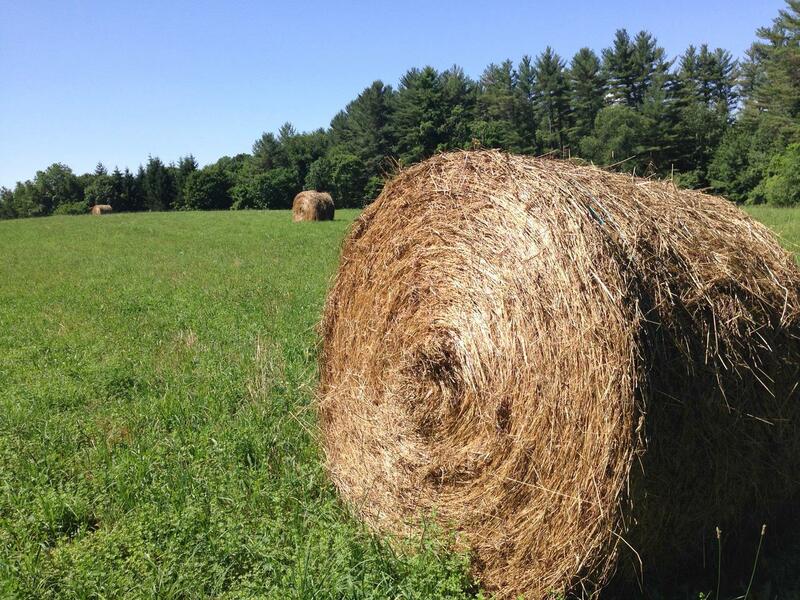 Dairy cows, beef cattle and horses also get nutrition out of hay — grass that’s cut and dried. Williams grows 100 acres of it. And he gathers it into huge round bales. Williams used to sell $6,000 to $8,000 worth. He calls it his “butter and egg money” — extra cash the farm could rely on. Williams attributes his loss of hay sales in part to horse and beef farms that have gone out of business. And to the loss of dairy farms. 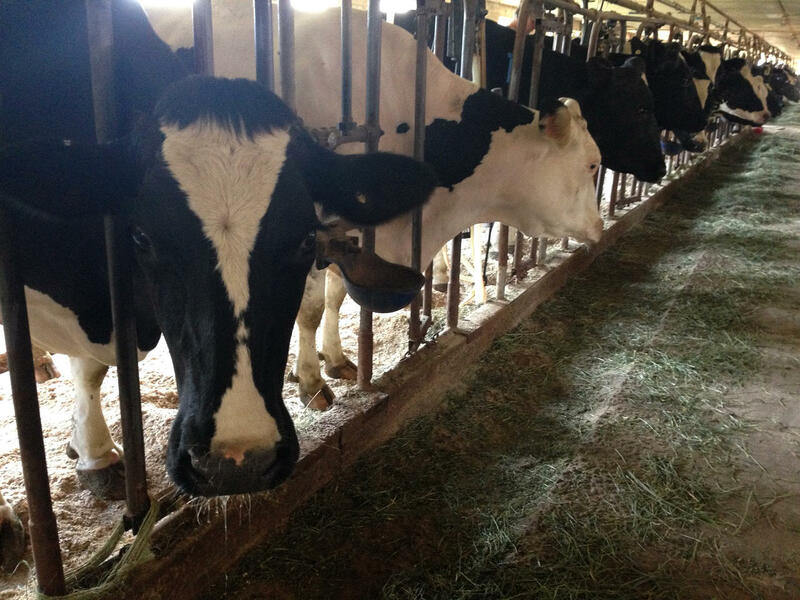 Since 2014, more than 14 percent of Massachusetts dairy farms have gone out of business. It’s been that long since farmers were paid anything close to the cost of producing milk. In other words: there are fewer cows, but still just as much hay. Data in the above chart comes from the Massachusetts Department of Agricultural Resources. Chart by Heather Brandon for NEPR. 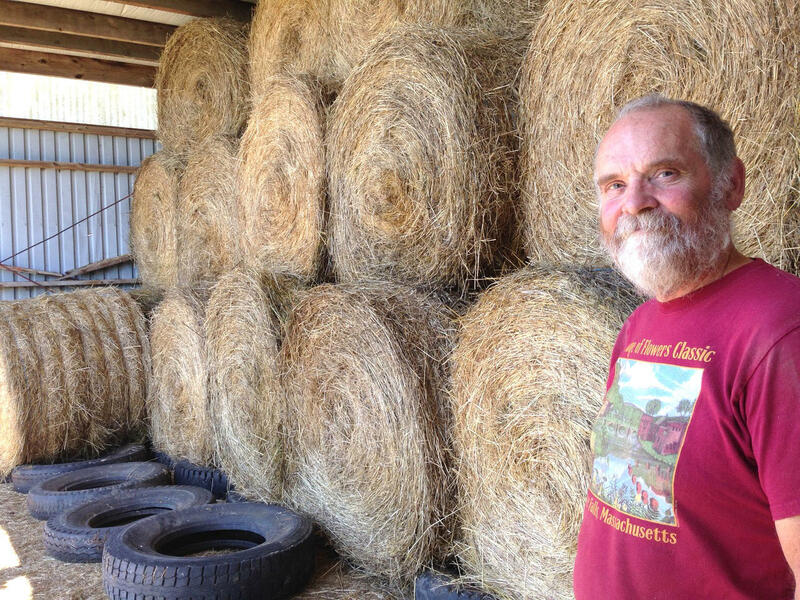 This year, with hardly any sales, Williams stuffed as much hay as he could into his barn. 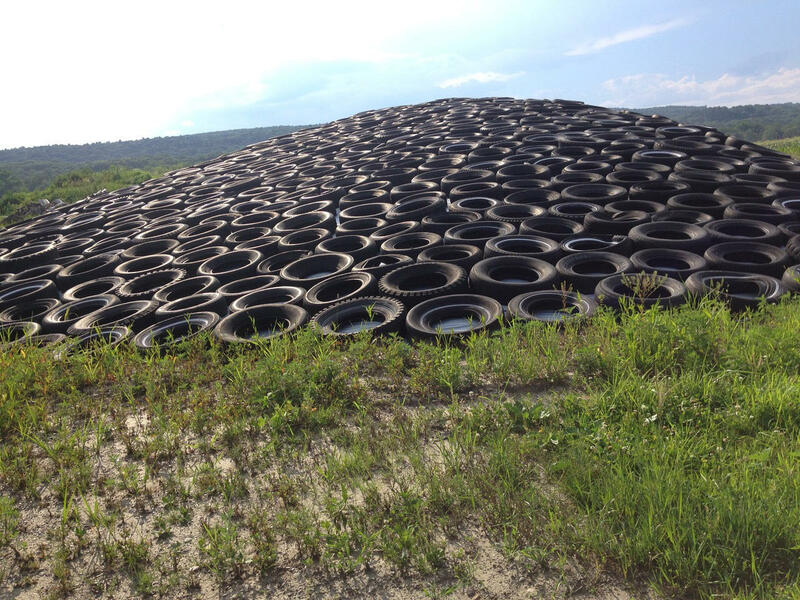 Then he dumped nearly 75 tons in a pile to rot. That was hay he spent time and money growing and baling. Other dairy farmers in Franklin County, including those who have sold off their herds, also said they’ve lost hay customers. Just up the road, Norm and Lisa Davenport pointed out their farm’s sweeping view. Until recently, for more than 100 years, the family milked cows there. 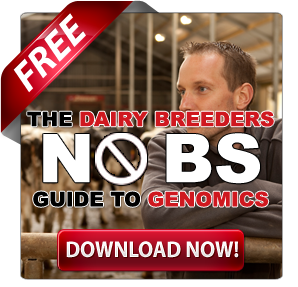 The Davenports sold most of their milk cows in 2005, and the last of them six months ago. 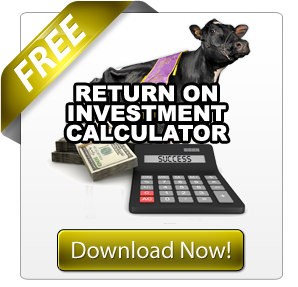 “It is very tough bookkeeping to say we were making money. We were treading water at best,” Norm Davenport said. Not milking cows has been rough. The Davenports still grow hay. Last year, they sold only two-thirds of their crop. The golden unsold remnants stretched atop a green hill. Norm Davenport pulled it out of the barn. This year, Davenport is growing a third less. Still, he’s got 500 fresh bales in. It’s worth $30,000, if he can sell it. Ten years ago, he sold twice as much. And it’s not just hay that’s not selling. 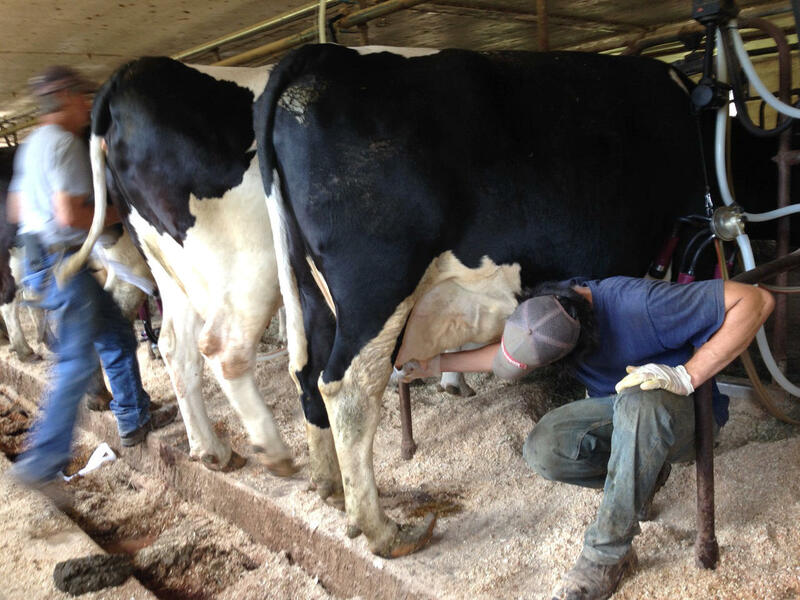 The milking machines at Yazwinski Farm in Deerfield kept a steady pulse as Sam Yazwinski moved from cow to cow. The Yazwinskis have sold another kind of cow feed since 1971: fermented field corn, called corn silage. They’ve also slowly lost customers over the last five years. This year, the farm is growing only about a quarter to half of the corn for silage that they normally grow. Chet Yazwinski, Sam’s cousin, said that at $65 a ton, selling less is a big loss to the farm — especially as milk prices drop. 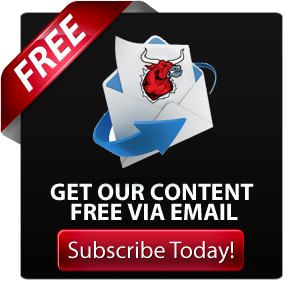 Chet Yazwinski said that without that income, they have to be careful. Claire Morenon of Community Involved in Sustaining Agriculture said that when dairy farms constrict their spending, there’s a ripple effect in the broader farm economy. “Even though there are not as many dairy farms here as there are other types of farms, they are spending a lot more money on feed, on veterinary bills, on repair for their equipment — that sort of thing,” she said. She added that the challenges in the hay market are an example of that secondary impact. “[It’s] the sort of not-enormously-visible-to-consumers impact that can happen when there’s a certain important piece of the agricultural system that starts to falter,” she said. Pete Williams, whose family started a farm in 1871, says that if left untouched, hayfields would grow into brush, and eventually forest. Or in some cases, they’d be developed. “They say it’s more than just the cows that we are losing,” he said. Even though he will lose money, he said he’s “loyal” to the land, and will keep it open by haying it. Norm Davenport, who sold off his milk cows, wants to bet on that future. 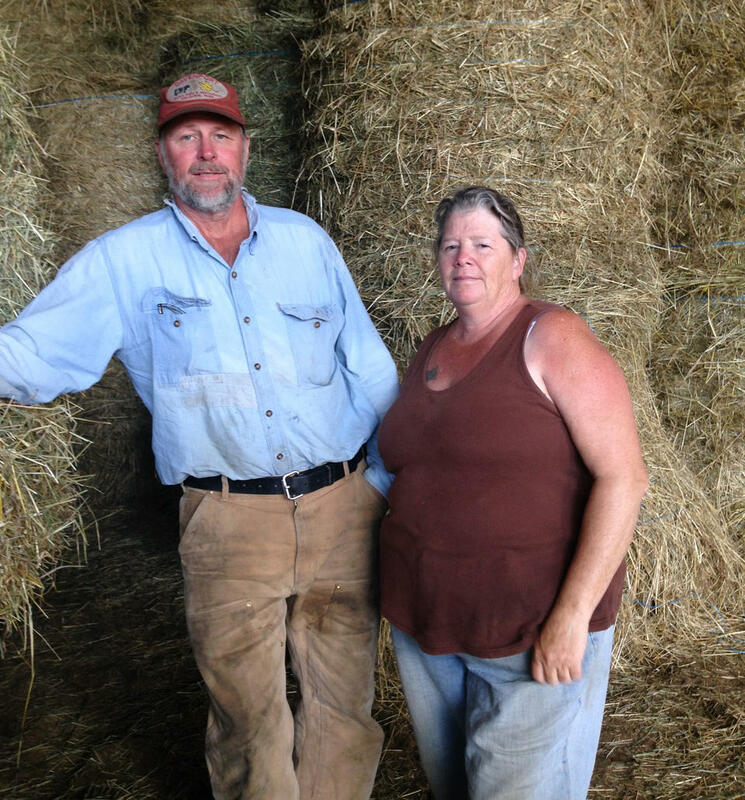 “The whole notion of selling the hay is to keep the land open, with the hopes that someday we could get back into livestock farming, and generate income to sustain ourselves,” he said. But it’s not clear how much longer these land stewards can make hay without making money.